There is no price difference for different breeds or size of pets. We gladly accept all breeds of dogs. Our dog guests are let out into our play-yard 5-6 times/day. You may choose to have them socialize with our other dog guests or just with a trained staff member. 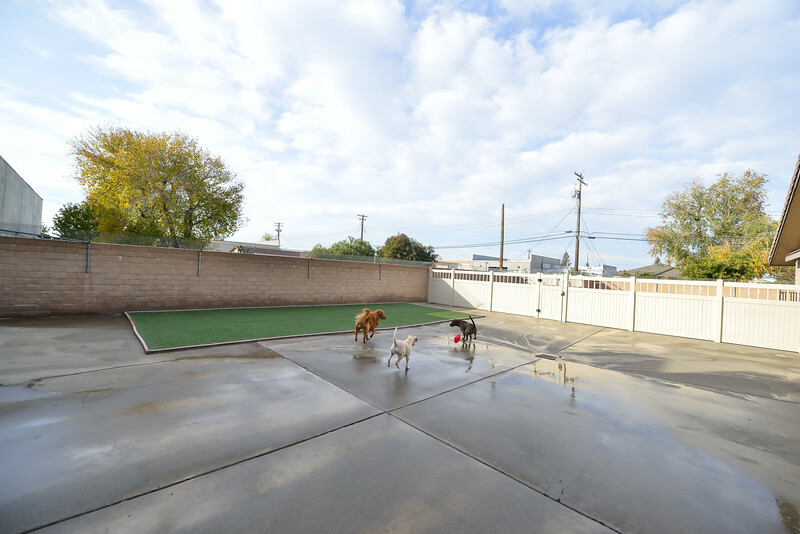 Multiple trips out to our yard help maintain good potty habits, allows our dog guests to stay busy and have fun. Play-yard outings are on a rotation basis, from 5:30am-10:00pm. at no additional charge during his stay. Our Standard Boarding Rooms are an active and stimulating boarding environment for dogs that love the action! Individual one/one play can be accommodated at no additional charge. For safety reasons, there is always a staff member present in the yard with your dog. Add Pool time for $10/day! Pool time gives your dog an additional activity to amp up the fun! Your dog needs to be age appropriate, spayed or neutered to participate in group play time while being boarded. 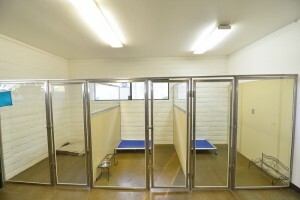 Dogs over 6 months that are not spay/neutered will not be allowed to interact with other dogs. They will still get multiple trips out to our yards; however, it will be one/one with a staff member. If necessary, special handling charges may apply for elderly pets or aggressive pets. We can administer medications at no charge. The Tranquility suites are located in a different area of the facility from our standard boarding rooms. 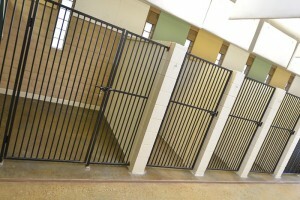 We recommend our Tranquility Suites for shy, senior dogs, or dogs requiring more tranquil environment. Our suites are furnished with Tv’s, elevated feeders, piped in music, deluxe bedding, and a private courtyard style play yard. 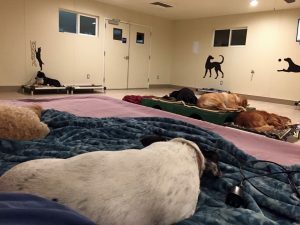 Any dog not meeting the requirements will be moved to the standard boarding room. Billing with continue at Tranquility Suite rate until the suite can be re-booked.